Ever since the imports were tightened in favor of local production of automobiles in the early 90s, the options for a car buyer in Pakistan remained on a decline. As compared to the 80s when there used to be several options for each vehicle segment, available in more exterior and interior color choices and were updated more frequently averaging 2-3 years per model. While sales figures may show the growth of automobile industry, in fact it demonstrates the better buying power and overall improving economic situation, the numbers of available buying options we now have are definitely the worst we’ve ever had. Not only that the options are too scarce, they aren’t updated either for a long period of time. 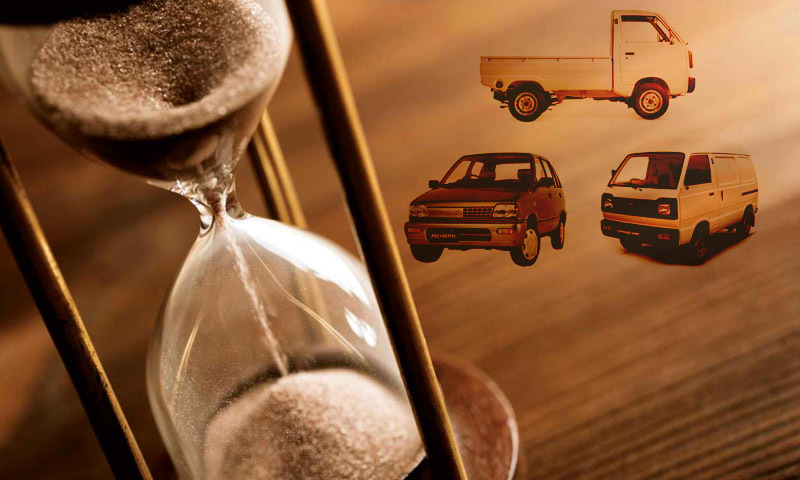 In the 1980s, when the new vehicles were being imported to our country, the life cycle of a model was 3-5 years at max, within which there was a minor model change (aka facelift) after almost every 2 years. Related: Just How Old The Suzuki Bolan Is..
Take the 3rd generation Honda Civic for example. Launched in our country back in 1984 the 3rd gen Civic was available in more than 10 exterior colors and 4 interior colors to choose from, in 1986 the facelift was launched and by 1988 the 4th gen Civic was already available in our country, thus replacing the 3rd gen Civic. 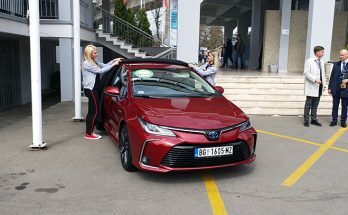 Not only this, the Honda Civic wasn’t the only option available for a buyer looking for a 1300cc sedan, cars like Toyota Corolla, Mitsubishi Lancer, Nissan Sunny, Mazda 323, Daihatsu Charmant and Toyota Sprinter were among the options that an auto consumer of that era would consider buying. Each of them offering a similar tenure for their models, i.e. a facelift offered after every 2 years and a complete model change around 4 years of production cycle. Problem with the local production ever since it started; not only that the quality wasn’t comparable to the ones offered in the 80s, the number of options were restricted to a few and the runtime of each model was too prolonged, and somehow this remains the case even today. Let us try to have a look at the production life of the cars offered locally and compare them with the time when we used to have better options in our market. These cars are available since 1991 ever since Pak Suzuki started local production, and are available today without any significant improvement offered in the span of about 25 years. Not to mention these vehicles were already a decade old when the local production commenced in 1991. Mehran was developed in the mid 80s while Ravi & Bolan have their connections from late 1970s and what’s more interesting is that Pak Suzuki is happy to sell them in 2016, thanks to monopoly and lack of competition. Finally we are getting news regarding the discontinuation of Suzuki Cultus. The car was launched in year 2000 and continued to sell for 16 years without any significant improvement apart from a fuel injected engine in 2007. Funnily enough the Cultus is a hatchback version of the already discontinued Margalla sedan which Pak Suzuki used to sell between 1991 & 1998. Alto’s lifespan was from 2000 to 2012. 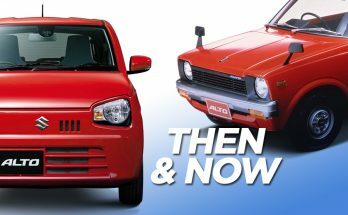 Pak Suzuki eventually had to discontinue the Alto when Euro II emission standard was imposed by our government and Japan denied providing any further support since this model of Alto was long discontinued in Japan. 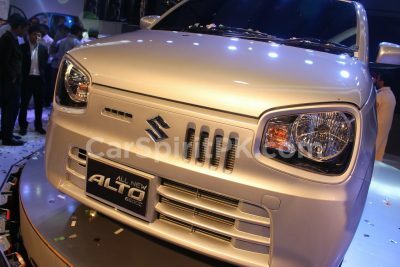 Importing parts from India was not possible due to trade restrictions hence Pak Suzuki had no option but to discontinue the Alto after nearly 12 years of its production period. Apart from headlights & tail lights, the Alto available in a single trim remained unchanged throughout this period. Another car of our market with over a decade long production run. Cuore was launched in year 2000 and continued towards 2012. Initially people thought the Cuore would compete with Suzuki Mehran but Indus priced it well above the Mehran and Daihatsu Cuore despite being ridiculously expensive, remained quite a handsome seller. At one time the delivery period was above 11 months while people were happy to pay a 100 thousand rupees OWN money to get instant deliveries. Although the car itself was decent, and was the only small car available with auto transmission, it remained quite an expensive option considering the value for money. Cuore was another car which couldn’t keep up with the emission regulations and was discontinued after an unchanged 12 year production period. The 7th gen E100 Corolla better known in our market as ‘Indus Corolla’ was the first local assembled Toyota Corolla. It was launched as a locally produced car in 1993 while the model was already available in international markets since 1991. Indus Motors skipped the E110 8th generation Corolla and kept offering the E100 till 2002 when the 9th generation E120 Corolla eventually replaced it. The life span of the 7th gen Corolla in our market was almost 9 years, compared to the Corollas of the 80s when a model got replaced every 3rd year. Launched in our market in 1988 as Suzuki Swift, the local production of this Swift started in 1991 and was labeled as Khyber. It was the only 1000cc option among locally produced cars and was available in only 1 trim, whereas there were nearly a dozen choices among hatchbacks available during the 80s. Khyber’s production run ended in year 2000 when it was replaced by Cultus. During all those 9 years the Khyber remain unchanged and missed some basic features like adjustable head-rests & retract mirrors which were available in the imported versions of the same car from late 80s. Liana was another example when a car was launched in Pakistan after it had completed its life in global markets. Launched in 2005 the Liana was a success initially but went down the drain so badly that it hardly managed to sell 200 units per year towards the end of its production period. Apart from some cosmetic changes the car remained unchanged throughout its 9 years of production life and was ultimately discontinued in 2014. It remains possibly the only locally produced car with such a negative impression among car buyers. 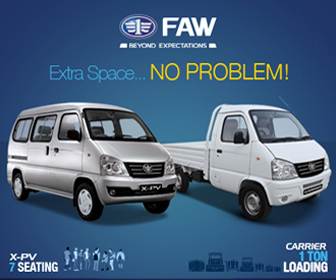 Pak Suzuki is yet to launch a replacement for Liana in our market. Launched back in 1991 when the production of local Suzuki’s commenced. Margalla was one of the most loved Suzukis of our market. 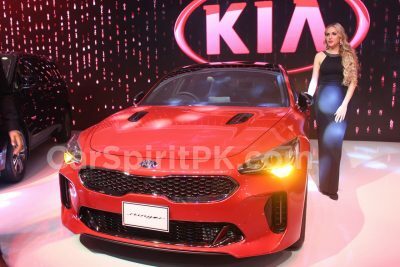 Despite the fact that the car had miserable paint quality and wasn’t available in any metallic color, Margalla remained first priority for the car buyers looking for an affordable car with trunk. However sales were badly affected by the launch of Honda City in early 1997 which cut Margalla’s sales into half. After struggling for a couple of years to compete with the then modern Honda rival, its production eventually came to an end after an unchanged 7 years of production run. It was replaced by Suzuki Baleno in 1998. Launched globally in 2007 and got discontinued in 2013, the local production of the 5th gen Honda City started in year 2009 and has already entered 8th year of its production life. Before now, Honda’s tradition in Pakistan was to offer a facelift or a model change after every 3 years, pretty much like the 80s but having already completed 7 years of its life, there is no confirmed news regarding the launch of the newer 6th generation City which is now already more than 3 years old globally. The current Swift offered in our market was launched globally back in 2004 and was replaced by a newer model in 2010. That was when Pak Suzuki decided to launch the 2004 shape here and since 2010 it continues to sell without any change. Already completed 6 years of an unchanged production run, there is no hope for a newer Suzuki Swift for the Pakistani market. It is quite obvious from the list of cars posted above that majority of the vehicles that have been produced since 1991 have had a prolonged production life, contrary to the eighties when cars were being imported & updated on regular basis. Not just this, but the cars produced here lags far behind the world in terms of built quality, safety equipment, misses out basic features and are overpriced. Considering the ongoing trend, the future of our industry seems dark. Change represents growth & progress of an industry, without change there is no innovation and thus no progress. If we keep on assembling the same old vehicles without any innovation or improvements for decades, no matter how much sales we achieve, it can never represent the growth & progress of the industry. 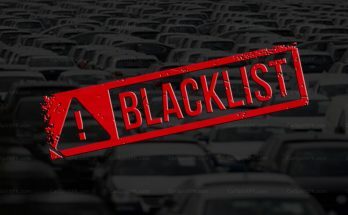 With the market manipulated by 3 players and almost zero competition, consumers have no choice but to keep buying the same old cars or try their luck buying used Japanese imports. It’s high time for the government to play its role and make concrete measures to let other manufacturers enter our market thus providing a level playing field for each manufacturer and help grow our automobile industry in true means. 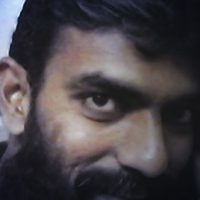 This article written by Usman Ansari was originally published on Pakwheels Blog. Previous Article Dewan Motors To Re-Launch Shehzore..
Next Article Colors That Were Once Popular Among Car Buyers..